Manufactured concrete or brick and natural stone pavers both create an affordable and simple means to give your landscape its much needed facelift. Whether they are irregular or natural cut, pavers can add to the visual intrigue, beauty, and general aesthetic of your property that also increases its value. Proper installation of pavers ensures that you will be fully satisfied with the results for many years. Here are the steps on how to lay pavers. Prior to the actual laying process, you have to identify the size and location of the project area first and how this will work within your landscape’s scope. For this, you can use landscaping paint or chalk, or twine and stakes. This gives a better visual representation of your project area’s scale and will help reveal any possible problems like the need to build around landscaping features or utilities. It is not a wise idea to just lay pavers as you go with no definite action plan. Play around first with the pavers before you actually work with them for you to know how they will align together and what kinds of layouts, specific patterns, and designs you enjoy. Homeowners often construct a patio or other projects that involve pavers from scratch. Unless you will lay pavers on top of an already existing surface like concrete, you have to excavate the spot carefully to several inches deep. For smaller projects, you can get away with performing this task with a wheelbarrow and spade, yet for bigger areas, you might have to rent special excavation equipment and tools. Solid, stable, and level base is definitely important to long-term functionality and your project’s beauty with pavers. After excavating your project, you will have to take time to get rid of roots, rocks, other debris or sticks that could make an uneven base. Then, you will have to compact soil so it will not move, settle or shift over time. You will have to pour crushed stone and quarry process to excavated areas sub base material and tamp it down. The recommended sub base depth is 3 to 4 inches. You have to lay down pavers or stones that would serve as the project area’s outside borders. It’ll establish boundaries and would help keep the pavers and sand in place. 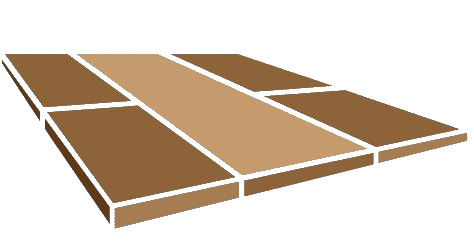 In terms of laying pavers, sand is an important component. It helps hold pavers in place. You have to pour sand on the project area to a ½” depth. You have to set about laying pavers deliberately and carefully. It is essential that you work from outside edges to ensure that all pavers are spaced evenly and would fit properly within the design’s scope. Once all pavers were laid, you have to sweep the remaining sand. Polymeric sand is a great binding agent and would keep your pavers look and function perfectly for a long time. After laying the pavers, it is essential that you take particular steps to make sure that they continue to function and look as desired for long haul. It is recommended to seal pavers to protect their beauty and avoid discoloration.